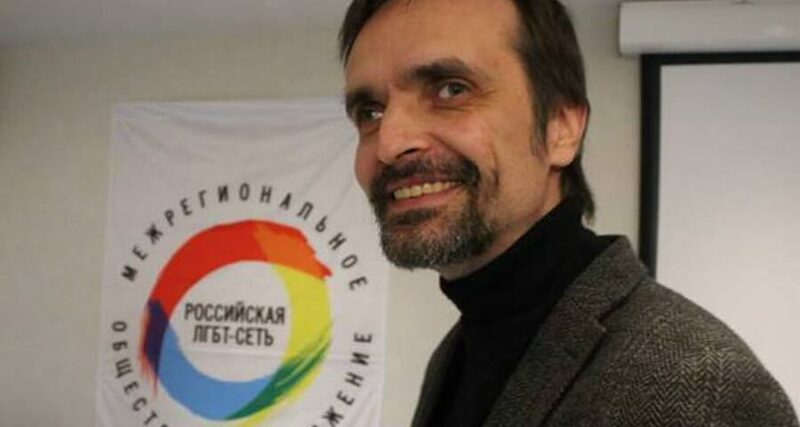 Igor Kochetkov, Russian LGBT-activist and chairman of the LGBT-Network, talks about the mass persecution of gay people in Chechnya, their possible evacuation from the region, and how civil society advocacy efforts can affect the situation. What is going on in Chechnya today? Are we talking about a large-scale persecution of gay people under way in the republic? The situation is best described as a crime against humanity in the same sense it is defined by Article 7 of the Rome Statute of the International Criminal Court. First of all, we are talking here about mass detentions, torture and murder of gay people. Our estimates suggest that there have been hundreds and hundreds of cases of kidnapping in the Republic. Secondly, these mass repressions target a very specific group: those who are assumed to be gay. It is important to stress that victims are being picked based solely on this criteria: their alleged sexual orientation. Even when gays are locked up by the police, that are kept separately from the rest of the detainees, and are accorded a different, harsher treatment. While in custody, they are not given any food whatsoever. These victims of the anti-gay crackdown are beaten and harassed not only by the uniform-clad police officers, but by other detainees as well. Finally, this is a crime that is being committed by public officers. People are seized in their homes or at work by men in police uniforms. They are detained in the buildings that belong to the Ministry of Internal Affairs of Chechnya, and it is obvious that this crackdown has been sponsored and mandated by the authorities. How did this situation first come to light? I first learned about it in mid-March from an anonymous message on social networks. “Rumour has it,” it claimed, “that gay people in Chechnya are being massively detained and tortured.” The author of the message refused to put me in touch with his sources. I then asked my fellow human rights advocates who worked in Chechnya to double-check this information. After a while, they got back to me and confirmed the rumours. What do you think could have possibly triggered the current persecution? We are still unable to establish with any certainty when exactly this campaign was launched. For quite some time we were convinced that it all started in early March. Later on, we received additional information that showed that things were already getting rough in late February. Now some of the gay people who have since fled Chechnya claim that the crackdown began in late December 2016. While it is hard enough to say when exactly it all started, it is even more difficult to determine the exact cause of the events. In the absence of official investigation, and while those who issued and followed orders have not testified yet, it does not make much sense to indulge in guesswork and speculation and to put forward different interpretations of the events. What we should be asking instead, however, is this: how is it possible in the first place that such crimes are allowed to take place across the entire territory which is an integral part of the Russian Federation? This is a clear testament to the gaping absence of viable state institutions [functioning in Chechnya]. There has to be an official investigation into the current events that would enable us to get to the root of this question. Has anyone taken any legal action yet, filed a lawsuit or else? There have been several civil investigative demands following the publication of Yelena Milashina’s article “Honour Killing: How a Well-Known LGBT-Activist’s Vanity Worked to Ressurect a Dreadful Ancient Custom in Chechnya” published by Novaya Gazeta on 4 January this year1Елена Милашина, «Убийство чести. Как амбиции известного ЛГБТ-активиста разбудили в Чечне страшный древний обычай», «Новая газета», 01.04.2017, https://www.novayagazeta.ru/articles/2017/04/01/71983-ubiystvo-chesti . Since Milashina’s piece is essentially a published report of a crime, according to the Criminal Code it must be fully reviewed and checked by the relevant agencies. Technically, they are still checking it, but I am not sure whether they are doing their job well, because it is the Prosecutor’s Office of Chechnya that is in charge of the investigation. That means that the alleged culprits, accused of committing the said crimes are the ones to check the validity of Milashina’s indictment against them! What about the victims seeking legal action? As for the victims, they obviously should be given proper protection and support before people are prepared to speak out at all. If the Investigative Committee pledges to grant full legal protection to the victims of these crimes and not to pass on their personal details to the authorities in Grozny, we may begin to hope that people might seek legal action and assistance. Alternatively, they will just leave Russia. Without the safety of the victims being guaranteed we cannot hope to see an effective investigation of this crime carried out any time soon. How many people have since reached out to the Russian LGBT-Network? We are currently in touch with some 75 people, who have contacted us over the past three weeks. We are providing our help and assistance to 30 of them. This means that one way or another these people have already left the territory of the Chechen Republic. Around 15 people, who sought us out earlier, have already left Russia. Could you please elaborate on the kind of aid and assistance that these victims require? Quite a few people need help leaving Chechnya, and after this is accomplished, we need to provide them with a safe place to stay. As a rule, people tend to flee home in a hurry: they often have no money on them. That is why we also provide financial aid. Many require medical treatment, because they have been through a horribly traumatic experience, especially those who have been imprisoned and tortured. They certainly are in dire need of psychological counseling, but they also need help with their paperwork and registration. In short, anything you would normally do to assist refugees [is a good way to help]. What can the civil society in Russia and abroad do to affect this situation? There are various objectives and tasks facing civil society at different stages of this crisis. At the first stage we have to rescue all those who can still be rescued and help them leave Russia. I cannot stress this enough: the absolute majority of those fleeing now are doing it because their lives are in danger. It is not only the police and the authorities that are after them, but oftentimes their relatives as well and the latter are often capable of murdering their kin. At this point it is really important for the well-wishing Western politicians who are now eagerly making public proclamations stating how intolerable these barbaric acts are, to really get involved in the situation hands-on and to try and make a difference. For instance, one of the most daunting problems facing these refugees is obtaining visas so as to be able to enter the European Union, the US or Canada. The so-called “civilized countries” seem ill-equipped and ill-prepared to face this challenge. They lack the necessary procedures that would enable them to promptly admit and accommodate the refugees. It is one thing to apply for a refugee status while residing in Europe or North America where one can avail oneself of the country’s protection, and quite another to be waiting for the decision on one’s application while being based in Russia where these asylum-seekers can be tracked down and attacked any moment. Thus, a lot depends on the civil society in Western and Central Europe. Concerned citizens in these countries should call upon their governments to provide adequate and appropriate response to such crisis situations. Next, it is vital to start collecting witness accounts and to demand an efficient investigation into the events these testimonies describe. By efficient investigation I mean an investigation that is conducted not by the Prosecutor’s office in Chechnya, but by federal agencies. Another crucial prerequisite for such an investigation would be providing advocacy, support services and protection for the victims and witnesses. If the case does not reach the court in Russia it will automatically fall within the jurisdiction of the International Criminal Court. And again, the role of civil society is crucial here. We have to constantly remind European [advocacy groups] and agencies as well as the International Criminal Court about this situation and to question them about what exactly is being done in order for this crime to be fully investigated.